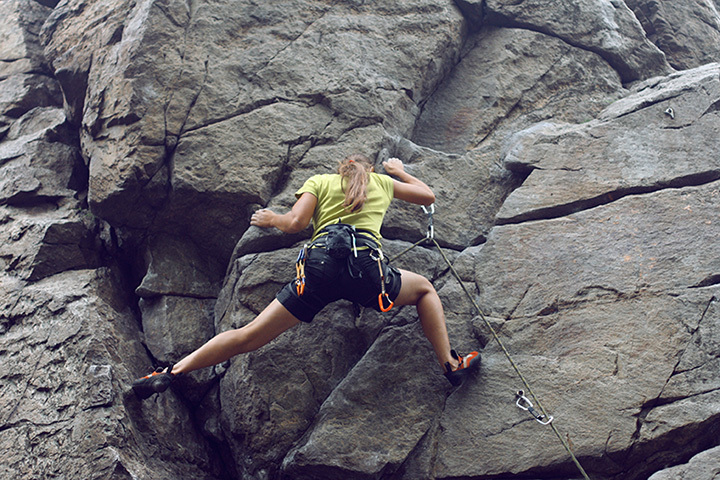 The Outdoor Pursuits Indoor climbing wall is located in the lobby of the Charles J. Ping Student Recreation Center. The wall is double sided and 36 feet tall by 13 feet wide, offering approximately 936 square feet of climbing area. The climbing wall is a state-of-the art design that combines integrate synthetic rock with more than 400 potential hand and foot holds.